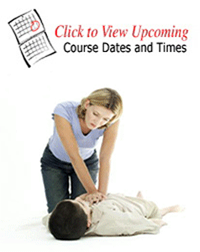 CarePlus™ CPR and AED for Adults, Children, and Infants Version 6.0 is a community-focused, comprehensive training program in emergency resuscitation for the lay rescuer. It is designed to teach students how to perform resuscitation for patients of all ages who are victims of Sudden Cardiac Arrest, as well as those who are unresponsive or choking. 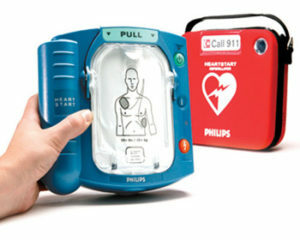 CarePlus™ CPR and AED for Adults, Children, and Infants includes training in the use of an Automated External Defibrillator (AED) and can be combined with first aid training to help meet OSHA requirements for first aid training in the workplace. View Upcoming Dates. The training is usually conducted over one, four-hour session. Workshops are scheduled for daytime and evening sessions. First Aid Coach uses the world’s finest training system, Medic First Aid™. They learn by seeing, hearing and doing. In fact one recent survey showed that over 97% of students completing our training said that they would step forward and help in a real emergency, versus only 66% of those trained by competing agencies. Our students develop real confidence in their ability to respond and perform these skills in a real crisis.